My son Ian & I swam in the Short Beach Days swimming races; Ian placed fourth as a nine year old in the 9-10 age range, & I placed third in the old guys 40+ category. We both need to work on our starts. As part of the haul from the kids’ “Juice Stand” in the afternoon, Olivia received a US quarter stamped with “Northern Mariana Islands” — one of the most coveted in our collection. We’ve found three now from the non-state territories: Grandpa Bill received Guam in change from a DC taxi-cab, Ryan the babysitter got Samoa for Ian in a Branford Dunkin Donuts, & now Olivia’s Marianas from the Short Beach juice drinkers. Changes how you look at change. Just after the 8:19 pm high tide, Olivia & I took a night swim — the moon hadn’t risen yet, a few bright stars behind fleecy clouds, warm water, and cold air. The beach is lit by street lights, and they dim fast as you swim out. Swimming is always about putting your body in a place that it can’t fully understand, where you move slowly & can’t see well. At night, in warm water, in the dark, swimming doubles itself — opaque and invisible and all around you. I love a night swim. To pieces at once under the waves’ hammer. Would escape to betray what they underwent then. That they could recognize it…. Grew gentle, spared them, while they died of that knowledge. The new semester’s here, so it’s time to put away the summer reading & turn to class prep. In the past few months I’ve been reading postmodern (mostly 21c) novels that in various ways respond to The Tempest, & I thought I’d jot down some thoughts. Thomas Pynchon, Mason & Dixon (1997): The utopian fantasia becomes a “Visto through the Wilderness,” as Englightenment rationality does for Pynchon what humanism did for Shakespeare, though Pynchon is more overtly skeptical. But I wonder if the deep ambivalence that’s M&D wears on its sleeve isn’t the underlying anxiety that clouds Shakespeare’s play: the sense that, at the end, Prospero’s brave new world isn’t as “brave” (in the early modern sense of decked out, dressed up) so much as it is costly, both morally and economically. 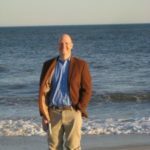 Barry Unsworth, Sacred Hunger (1992): The two cousins both want to be the princely heir, and the great thing about this book is that the multiracial utopian section, in which the proto-Darwinist doctor enters into a matriarchal mixed marriage with a former slave, isn’t cloying or overdone. Instead it’s a version of that old feminist plea about Caliban and Miranda forming an alliance, even if it doesn’t end up working out any better than it might in the play. 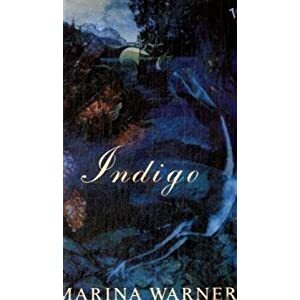 Marina Warner, Indigo (1992): What does Miranda want? She, too, gets her Caliban (in the 20c frame tale), and Warner’s novel presents the various Prospero-ish men as the fuller opacity than the fertile Caribbean. Great stuff about sports & sporting culture — perhaps an oblique way of thinking again about the theater, another profession that runs on sanguy or physical charisma? David Mitchell, Cloud Atlas (2004): In the end more Melvillean than Shakeseparean (if that’s a distinction with a difference), Mitchell’s high-wire act of stylistic change mirrors, on the level of the phrase, the experience of radical cultural change that the novel describes (and that we’re all experiencing). Perhaps a bit sentimental on the last page? How can you reconcile the novel’s deep fear of corporate power structures with a humane plea for abolition? Need to re-read Benito Cereno.. 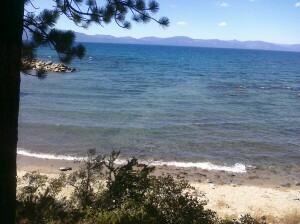 Spent last week swimming on the Nevada side of Lake Tahoe, about 1/3 mile south of Cave Rock & 4 miles north of State Line & its casinos. It’s a pretty extreme place: dry & windy, with thin air (6100′) & cold clear water (60 degrees, more or less). We got good weather for late summer — 80 by mid-afternoon, down to 50 or below in the evenings & early morning. The old family tradition of swimming before breakfast got bent a little, by pushing breakfast to 10 am so that the sun reached the beach before our plunge. It’s one of the world’s great swimming holes: Caribbean-blue clear water, and when you’re under in that cold blue everything falls away. Swimming’s a bit like outer space under any circumstances, but Lake Tahoe feels more moonlike than the moon: the windy chop at the surface vanishes & all of a sudden it’s just you and the still bottom, with huge granite boulders scattered haphazardly like giants’ marbles. It was wetsuit water, mostly, except a few times in the afternoons when it was too much bother to suit up again. Rock hopping was the way to go, mostly, moving from one barely submerged boulder to another just poking up its froth-bearded head. A tricky place for nonwet navigators: we brought a little El Toro, which made a few abrupt stops when the centerboard found a rock before we did. A compelling & poetic re-take on The Tempest in a Caribbean setting by Marina Warner. A first-contact narrative portraying the origins of the Sycorax-Caliban-Ariel family broken by the arrival of Kit Everard from England in 1609, framed by two different sections about the modern Everards: Ant, the patriarch & master of the Game at Flinders; Kit, his uncertain son; Miranda, Ant’s grand-daughter; and Xanthe, the patriarch’s late-arriving daughter, who displaces both Kit & Miranda from the family succession. The two girls, Miranda & Xanthe, compete for the role of chosen daughter just as the two cousins in Sacred Hunger struggle to be Ferdinand. Some nice writing about the sea and Shakespeare: “But for Xanthe Everard this was the final transformation: a pearl of rare size and beauty, she had become incapable of further motion in mind or body; she had given her first and last cry for the love that most people crave all their lifelong days” (376). Sounds a bit like Garcia-Marquez, I guess. Sacred Hunger: Who gets to play Ferdinand? But the key tension operates between the son, Erasmus Kemp, and the nephew Matthew Paris. Kemp wants the good mercantile life; Paris, fleeing from the death of his wife and child while he was imprisoned for publishing heretical (proto-Darwinian) tracts, wants something more radical. From a Shakespearean point of view, they both want to be Ferdinand: the heir & chosen suitor. Kemp even plays Ferdinand in a failed production of *The Enchanted Island* opposite a wealthy merchant’s daughter early in the novel. But it’s Paris’s multi-racial world, on the slave ship, in Africa, and in Florida, that redefine Prospero’s magic isle.